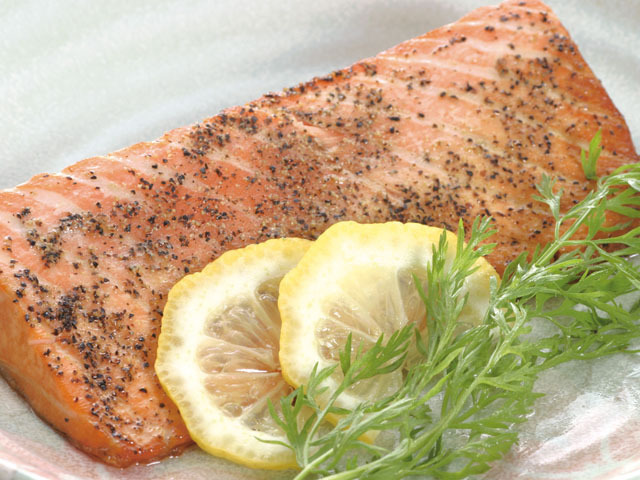 Marinate salmon overnight to a saltiness of your liking. You can also make tasty smoked salmon with light salt. Mix salt and one cup each of rice and Japanese tea, in a deep pot with a lid. Using a cooking grille, etc., place salmon in the pot over the mixture by making sure the fish doesn’t touch the mixture. Heat the pot and when smoke starts to come out, put on the lid and wait for 20 minutes over low heat.